PARKING SECURITY – Protection Management, LLC. Security of parking facilities can be a very crucial part of your business, and it can be a substantial liability risk as well. Many crimes take place in parking lots, parking structures, and parking garages. Often times businesses do not give proper attention to the security of the parking facilities until after there is an incident. Depending on the type of security incident that occurs, a review after-the-fact can be too late. Due to the large number of cars and the valuables that are often in those cars, they become a criminal magnet. It is often easy for someone to blend into a parking lot and go unnoticed by most people, as a suspect about to commit a crime often will have numerous places to conceal themselves. If you have contracted out the parking services to an outside vendor, it is important that they understand the risks, and how to report all security concerns in a timely manner. Parking companies are not often in the security business, and may in fact only provide the revenue collection service. If that is the case with your organization, there are still numerous security considerations that you must investigate in addition to the inherent risks as mentioned above. This can entail everything from cash handling, ticket auditing, and bookkeeping. Although you may have outsourced this service, you as a security manager should understand the entire system, or you may have no idea if funds are being diverted. Protection Management, LLC, has reviewed facilities with annual parking revenues between $500,000 and $2.5 Million. For the most part, this was all cash, and diversion of funds in operations such as this can be fairly easy accomplished and not easy to catch unless you fully understand all of the processes and equipment. We know the common ways used to circumvent accounting systems by the cashiers or management and will advise you in reducing these risks. Does staff make frequent drops of money into locked safes? Does someone audit all deposits, cash register tapes, shift reports, and ticket validation systems? Are the cashier booths secured? Do the cashier booths have panic/holdup alarms, and are they tested at least monthly? Do you use a computerized point of sale revenue management system? Do you conduct random cash register audits? How do you handle complaints from customers regarding improper change? How is the revenue moved from the cashier booths to the cash counting office? Has staff been trained regarding counterfeit money, robbery prevention, security awareness, dispute resolution, and any other security measures? Is staff required to maintain minimal amounts of cash in the register? There are numerous other questions that may come up during the assessment, but suffice it to say that the person assessing the parking operations and management firm needs to know what risks are associated with such services. They also need to watch for signs of embezzlement or diversion of funds throughout the entire process, from the point where a car enters the parking facility to when the revenue is deposited in the bank. At any point along the way there are real risks and vulnerabilities related to parking and the fees collected. Often times we have found that staff within an organization, which generally speaking has not had the experience in the past to plan for such events or outcomes, does not realize what all could go wrong or what security vulnerabilities might be present. To hire a professional security expert that has a diverse background, and can provide an unbiased point of view, is a good investment. Our principal consultant, John M. White, CPP, CHPA, has planned for a number of different special events, and is recognized as a security expert with a diverse and extensive background in law enforcement and security planning. John is Board Certified in Security Management as a Certified Protection Professional (CPP). 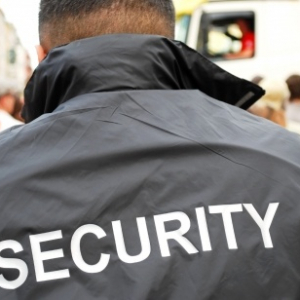 His past special event security planning experience includes working with local, state, and federal government agencies, local, national, and international businesses. 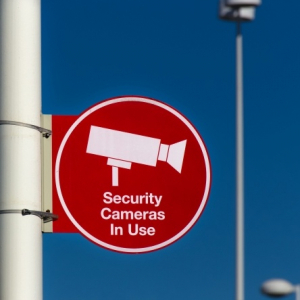 Security Issues in Parking Facilities Can Rank in Seriousness from Very Minor to High-Risk. An on-site review of existing parking facilities will include a review of lighting, CCTV, ADA compliance, fee collections, record keeping, and physical conditions to insure that your organization is getting optimum use of your facilities, and those facilities are safe and free of risks and/or liabilities, real or perceived. We have worked with private and public parking services which included free and fee based parking. Under our guidance our clients have increased their parking compliance and fine collection services by over 100%, and were able to sustain that level over an extended period of time. We have also assisted organizations with disruptions to their onsite parking due to construction, and in doing, so we successfully solicited bids for parking management firms, as well as vendors for employee shuttle services and valet parking.